If you're looking to buy homes in Phoenix, AZ, it's important that you know what you're doing because it's such a large investment to waste. Your best weapons are knowledge and preparedness. 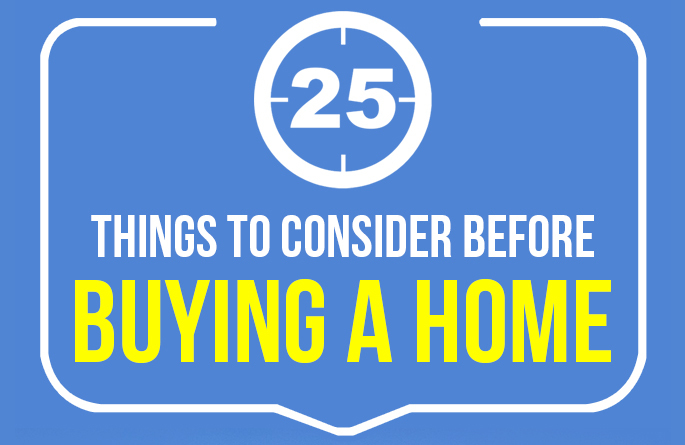 Before you purchase a home, consider these 25 important things. Before you begin hunting for a house, figure out how much can borrow. Don't just believe what lenders tell you. Calculate how much you can afford by subtracting your monthly expenses from your monthly gross income. When you have realized your budget for your new home, only look at houses within your budget. Don't go overboard or you'll end up poor. Another thing that you should consider before purchasing a house is your future plans. How are you planning to live in the house? Are you getting a pet or having children in the future? In that case, look for a house with plenty of rooms. Likewise, if your work or your financial situation is unsteady, ask yourself whether you're prepared to commit yourself to a monthly mortgage. If you buy the wrong house at the wrong time, then you're pretty much screwed. Many people look for homes first, then secure a mortgage next. The problem with this sequence is they usually have no time to shop around for better mortgage deals. They tend to take the first mortgage offered since they're in a rush to get the house. To be more financially responsible, it's better to look for a mortgage first before you find a house. Meet with several lenders and choose the best one that offers the best rate. Likewise, it's better to seek pre-approval before hunting a house. Getting pre-approved shows that you're capable to secure funds and pay the mortgage. This makes it a lot simpler for you to negotiate a more favorable price. Without this, you're likely to be rejected in favor of more eligible purchasers. Before attempting to get pre-approved for a house loan, check your credit score and credit files, which takes me to the next consideration. Before you apply for a mortgage, take time to check your credit files. If you found any errors, dispute them right away so they won't affect your credit score. Small errors can hurt your chances of getting a mortgage and a good interest rate. For instance, wrong addresses can cause rejection for your mortgage application. That's why it's important to check on these details and improve your credit score. Location does count when choosing a home. Take a walk around the neighborhood and visit the shops and parks at various times of the day. Are the shops just near your home? Are the parks clean? Are there any signs of vandalism? Get information about the place from the locals. Ask them if there are any problems in the area. If you're serious about getting more information about the area, rent a nearby hotel or pension house. 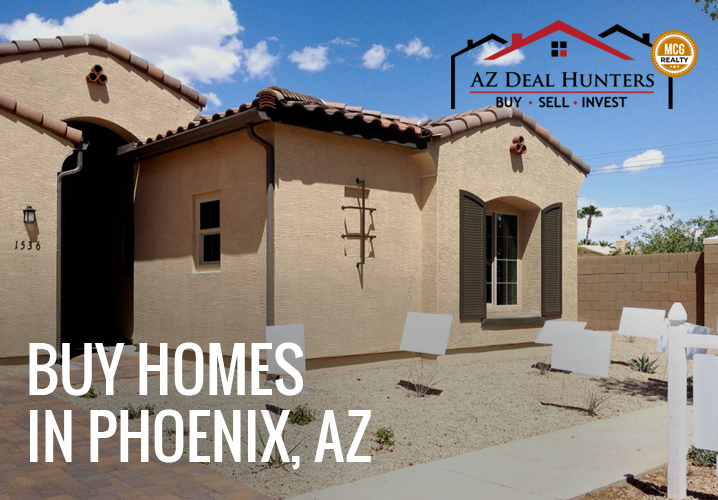 With so many houses to buy in Chandler, AZ, it's difficult to find the best one alone. You need the help of an experienced real estate agent to help you with home buying procedure. Also, if you're looking for a mortgage broker, make sure that it has a large experience serving in your local area. Don't just simply believe in their claims that they have the competence and experience you need. Ask references and call their past clients to double check about their credibility. If you don't like to work with middlemen, you can use your own initiative to look for a house. Try to hunt houses in your preferred area that aren't available on the market. You can drive around and look for a house with a "for sale" post. Contact the seller directly by finding the telephone number written on the post. If you're busy to drive around, simply place notes through doors so you can be directly contacted by the sellers. You could also place a notice in other areas, such as local store windows, online forums, and social media. After getting pre-approved, don't get ahead of yourself. As much as possible, begin by looking at homes at the low end of your approval range. Don't go over your approval range and regret at the end. Keep in mind that affordability is important. By beginning small, you increase your chances of finding a good, affordable home and make it your own. You can always do upgrades anytime in the future. You can also consider searching other other parts of Arizona in your search. Even if your job is in Phoenix, you can consider to purchase a house elsewhere and rent a room close to your office. In Arizona, a studio apartment has an average rent of $725. When starting the stressful house-searching process, do your research properly. See as many houses in your specific price bracket and try to study the prices for comparable properties. Track how these comparable properties sell out quickly. Also, find out what the usual asking price is. With this knowledge, you'll know how to negotiate your way in getting the most favorable price. Don't waste money on a survey only to detect obvious issues. The next time you view a house, bring an expert to provide a direct opinion on the property. Small problems, like a broken cabinet knob, needn't be a cause for withdrawal. If you want to inspect the house, create a list to make it simpler. Detect any dampness near windows and inside the cupboards. Look for any possible leaks or stains in the ceiling. Also, don't forget to inspect other essentials in the house such as switches, plumbing, and roof. No other person can give you a more honest opinion about the house, than the neighbors nearby. Don't ask the neighbor living next to the property that you like because chances are they have a close relationship with the seller. They might be conniving to give you a positive answer. Ideally, you need to put a down of at least 20%. This shows that you possess the financial strength to get a mortgage. If you can't put a 20% down, you can seek other options, like FHA or other low-down-payment loans. 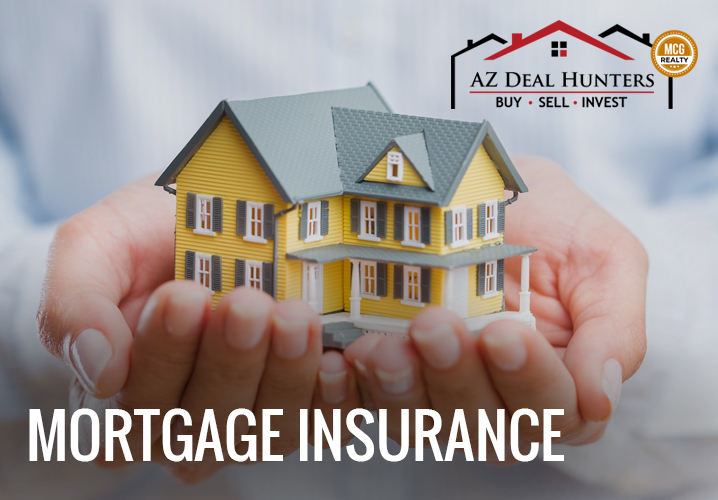 Paying the 20% down gives you the benefit of skipping the mortgage insurance, which is normally equal to 1% of the total mortgage balance per year. You'll keep on paying the mortgage insurance until your principal debt declines below 80% of your home value. A homeowner is responsible for maintaining the house. This is one of the consequences of owning a house that you should be aware. You can do the work yourself or ask a professional to repair the house for you. Many first-time home buyers focus too much on the property's value that they forget about its implications to their daily commute. If the cheap house is too far from your work then what's thought to be a good deal could be a bad deal after all. Driving long hours every day may hurt you financially and physically. Don't rely on the map alone when figuring out the commute. Drive the route yourself like you usually would, and imagine doing that similar drive daily. You might think that a homeowner's insurance costs almost the same as renter's insurance, but you're wrong. The truth is, a homeowner's insurance tends to pricey, and it's based mainly on the expenses that you would obtain in replicating the house today. A homeowner's insurance is pricey because it's normally collected through monthly mortgage fees and detained in escrow until it expires. The default of mortgage is 30-years because the monthly payments are usually lower. However, the interest would be higher and your debt would last for very long. If you want to end your debt in a much earlier period, you can consider securing a 15-year mortgage. A 15-year mortgage will be much earlier to finish but you'll pay a higher monthly fee. The truth is, if you can't bear to pay the 15-year monthly fee, you can't afford the house. To avoid moving into a vacant house, ask the seller what fixtures are included in the home purchase. Generally, anything fixed on the wall with a screw or nail is part of the house. Anything hanging is personal property. To be certain, let the seller confirm the items that are included in the sale. If the seller lets you pay the extra item, see if you could purchase it cheaper. Houses in auctions tend to be cheaper. However, you need to buy it "as is'. This means buying it without inspection and paying extra for any repairs. If you consider this option, go to a few auctions first and observe its process. 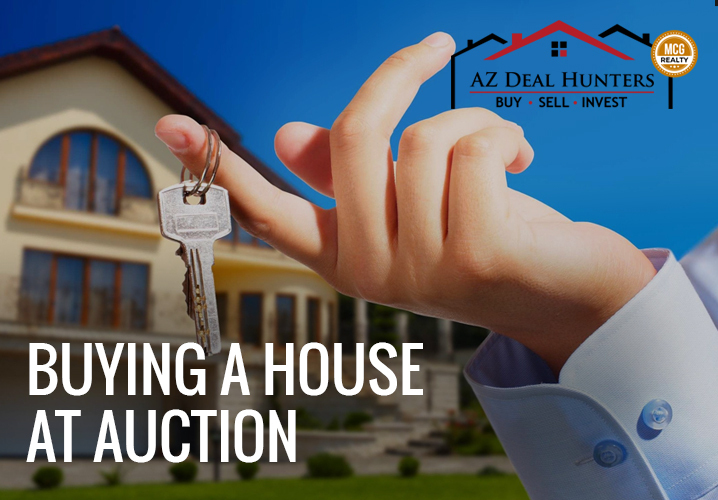 You may also visit the houses several times before participating in an auction. In this way, you know the true condition of the house before taking a bid. It's never good to use all your money at closing because you might need it after purchasing the house. Most people end up buying a bare house so you need new furniture and appliances. There might be also repairs that need to be made in the house. Like most people, negotiating can be pretty awkward and banks use this to their benefit. Actually, terms are negotiable. You can ask to reduce the selling price and closing costs. When planning to buy a house, keep your DTI in mind. Add your total debt and compare it your gross monthly income. The total debt is your debt payment per month plus your approximated mortgage payment per month. Your total debt should be below 40% of your gross monthly income. If it goes above 40%, then you're bound to have problems. If you have an extra room, consider renting it out to a lodger. You can gain extra money to help you pay the monthly mortgage fee. However, you need to pay an income tax. If you don't want to rent the extra room full time, you can use it as a guesthouse. You can allow travelers to stay in your room for a few days and earn income as a result. Like in any decisions, rushing is always a bad thing. You could end up in a wrong house with a high mortgage to pay every month. So give yourself time to think all of the considerations above before signing a deal. As much as possible, give yourself six months to one year to purchasing a house. This time period includes boosting your credit, saving up for the down payment, and actually looking for a house. 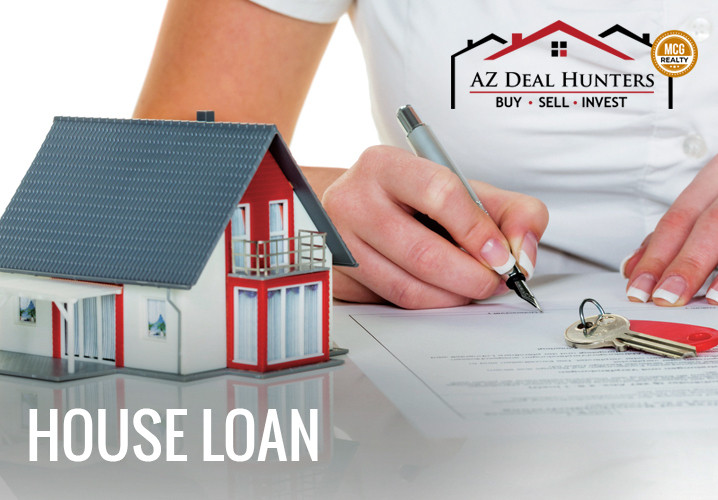 If you're ready to buy homes in Scottsdale, AZ or anywhere around the state, call AZ Deal Hunters at 480-432-7049 today!